Settling on the best place to study abroad can be a fun but scarily important decision to make. You have to choose a college or university that will provide you with the quality education you need as well as the social and extra-curricular life that will enable you to thrive. It also helps if the institution is located within an exciting town or city that offers plenty for you to see and do. To help you make a decision on which college abroad is best for you, here is Send My Bag’s list of top cities for international students in each (habitable!) continent. Paris has been rated as the second best student city in the world by the QS World University Rankings, and just right too. Paris has a bucket-load of top class universities to choose from (18 of which are in the QS World Rankings). The most highly respected include École normale supérieure (or ENS), which is a prestigious institution with a very competitive selection process for those who wish to study there. This research-driven university with excellent performance in mathematics is home to mostly postgraduates, with 20% of the student body being made up of international students. Other top universities in Paris include the École Polytechnique, the Université Pierre et Marie Curie (UPMC) – an immense institution for the teaching of medicine and other sciences –, and the Institute d’Études Politiques de Paris (or Sciences Po), which specialises in the humanities and social sciences. 47% of students at Sciences Po are from outside France, which means you would join a large group of fellow international students, should you decide to go there. Paris is an expensive city to live in, which is why prospective international students should look out for any financial help available. ENS runs an international selection process, which allows the most talented international students to study for a master’s degree and receive a 1000 Euro stipend each month to help with living costs. Typically, 10 are awarded to science students and 10 to arts and humanities students. Sciences Po also offers scholarships of varying amounts to students from outside the EU – so one to think about if you are concerned about the disadvantages of not being from the EU. Also, don’t forget funding opportunities offered by Erasmus+ to spend part of your degree studying abroad. Paris makes up for its potential lack of affordability by being a vibrant city bursting with culture, art, gorgeous buildings, beautiful green spaces and some of the best restaurants in the world. There would be little danger of becoming bored in Paris during your free time; the only issue would be how far your purse strings would stretch to allow you to enjoy it. Check out our guide to the best day trips from Paris. London holds a respectable 3rd place position on QS’s ranking of the best cities for international students. Like Paris and many other cities on this list, it is an expensive city. But this is a trade-off for numerous world-class universities, such as University College London (UCL), Imperial College London and the London School of Economics (LSE). All rank very highly, with Imperial at number 8 in the Times Higher Education World University Rankings, UCL at number 15, and LSE at number 25. Equally renowned are King’s College London and the School of Oriental and African Studies (SOAS), which has a very ethnically diverse student population, of whom 50% come from overseas. As well as its world-class universities, London is home to many other invaluable academic resources for students, such as the British Library, the Wellcome Library and the National Art Library. There are also museums and art galleries in abundance, including the National Gallery, the British Museum, the Victoria and Albert Museum and the National History Museum. The list goes on, and is testament to London’s status as a cultural hub, one that rivals countless of the world’s capital cities. Many international students from ‘younger’ countries find the availability of culture and history one of the most fascinating aspects of living in London. Find out what else you can see and do in London, here! Given the high cost of tuition fees at London universities, especially for international students, you may be interested in a number of funding opportunities available to overseas students. One example is a scholarship from the Department for International Development, which is open to potential graduate students from developing Commonwealth countries. This award covers tuition fees and other costs, such as rent and airfare. Many of the London universities offer their own scholarships to international students, so it pays to do your research. If you only wish to spend a portion of your time as a student studying in London, the Erasmus+ scheme should be your first port of call when sourcing funding. Find out more from Send My Bag about studying abroad in Europe. 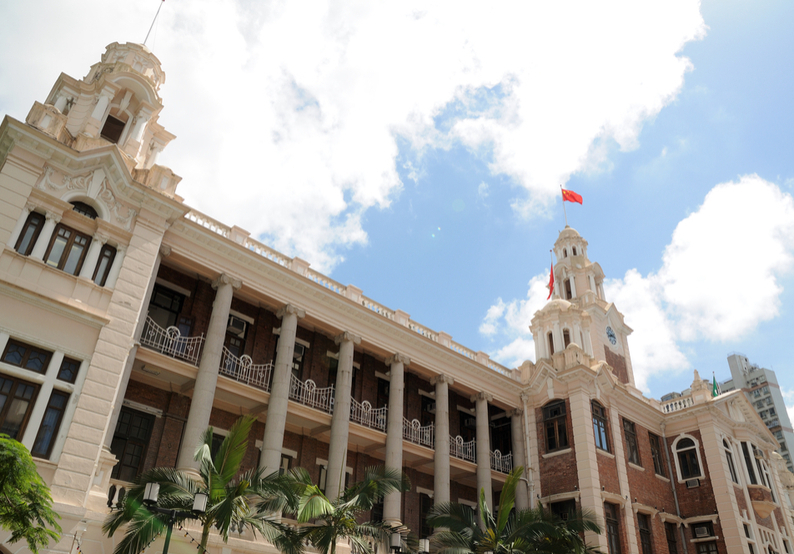 Hong Kong’s top university has got to be the University of Hong Kong, which ranks as the number 2 university in Asia, according to the QS University Rankings by Region. The university ranks number 26 in the world, and is number 1 in the world for dentistry, according to QS. The university is home to over 8000 international students, both undergraduate and postgraduate. Students are attracted by the teaching and research quality offered by the institution, which is made accessible to a great number of international students through English being used as the language of instruction. An incentive to apply are the scholarships (covering fees and maintenance) that are offered to the most talented of students accepted onto the undergraduate scheme. Other top-notch universities in Hong Kong include the Hong Kong University of Science and Technology (ranked 30 in the world) and the City University of Hong Kong. Both universities offer scholarships to talented individuals. The City University of Hong Kong offers an entrance scholarship scheme for international students studying for undergraduate degrees. These can cover part or full tuition fees, and some of the top scholarships cover living expenses, too. Postgraduates wishing to study for a PhD should be aware of the Hong Kong PhD Fellowship Scheme, which provides a stipend of HKD240,000 (USD30,769) per year, plus a research and travel allowance of HKD10,000 (USD1,282) for up to three years. Hong Kong is a mixed bag when it comes to affordability, with rent prices being high, but provisions like supermarket food being cheaper than in many other large cities around the world. To rent an apartment on Hong Kong Island, you are talking around HKD27,284 (USD3,498), but 2 lbs/ 1 kg of potatoes costs a reasonable HKD18 (USD2.31). If you are coming from outside Asia to study in Hong Kong, the city will be a fascinating change of scenery. Students not conversant in Chinese script, however, will be reassured to find signs written in English, as well as Cantonese, making it a lot easier to navigate around the city on their own. This is certainly a city that international students will want to explore, from gazing down at the skyline from Victoria Peak, to enjoying traditional dim sum, to roaming the bustling markets of Temple Street and Cat Street. Singapore is just as Anglophone-friendly as Hong Kong, if not more so. Most helpful for international students is the fact that English is the language of instruction, thus opening Singapore up to all those students who either speak English as their native tongue or who have learnt English at school. The fact that 75% of the population speaks English will help such students navigate around the city and allow them to make meaningful social connections. Singapore has two stand-out universities ? the National University of Singapore (NUS) and Nanyang Technological University (NTU). NUS ranks 15th in the QS World University Rankings, and number 1 for Asia. It also performs very highly for several subjects, such as civil engineering and chemistry. NTU is recognized for its excellence in engineering and technology. NUS and NTU both have large international student populations of over 9000 and 7000, respectively, which demonstrates the attractiveness of the institutions and of the location to overseas students. Again, Singapore is an expensive city (often cited as the most expensive city in the world, in fact), but this is the compromise for receiving world-class education from internationally recognized institutions. It is also a concession for a city with excellent public services, such as an efficient public transport system and clean, well-maintained public spaces. The rate of crime is also very low here, which should put your mind (and your parents’ minds) at ease. Tuition fees in Singapore actually tend to be cheaper than many countries around the world, such as the UK, the US and Australia. If you are on a tight budget there are always scholarships you can apply for, such as the prestigious Lee Kong Chian Graduate Scholarships at NUS. This is available to PhD students for up to four years to cover tuition fees, living costs and research expenses. When not studying, you will find plenty to enjoy in ‘the Garden City’, as Singapore is known. There are numerous green spaces where you can relax and recuperate after long study sessions. Alternatively, you can soak up the culture in the National Gallery, or let your hair down at Universal Studios. If you like the thrill of living in a busy, bustling city, São Paulo may be for you. São Paulo is home to over 12 million people over an area of 587 square miles/ 1520 km2 and is South America’s biggest city. While its sheer size means that São Paulo can be rather chaotic, it makes up for this with some of the best public universities in South America. 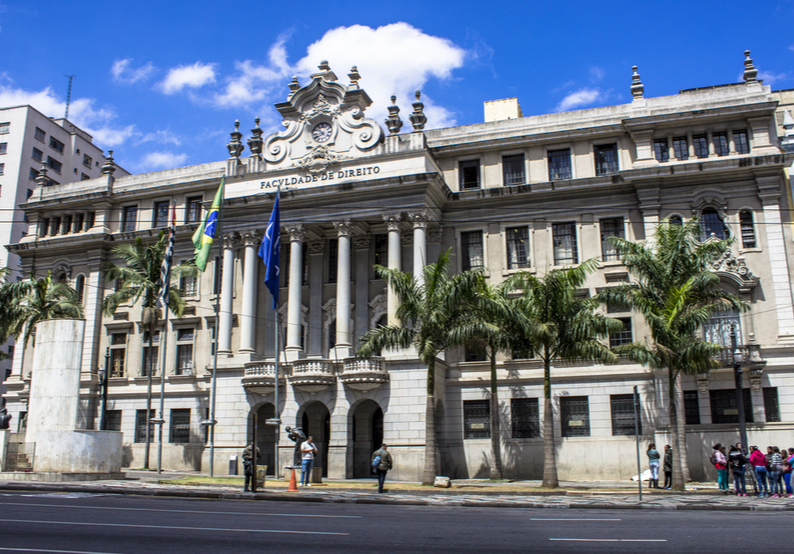 The University of São Paulo (USP) is by far its most prestigious and is highly regarded in Brazil and the rest of Latin America, so much so that QS has ranked it number 1 in its university rankings for Latin America. The Times also lists it as the Latin American university with the best reputation. A large number of international students attend USP as part of exchange programmes, spending a limited amount of time at the university while being fully enrolled at their home university. What makes studying at USP particularly attractive is the fact that it is a public university, which means that neither domestic nor international students are charged tuition fees. Most lessons at USP are given in Portuguese, thus a good level of proficiency in the language is required. However, exchange students have the opportunity of attending an intensive Portuguese course at the Language Learning Center. This means that taking part in an exchange programme at USP is an excellent opportunity to enhance skills and employability. São Paulo is not short of tourist attractions for visiting students to enjoy, from Ibirapuera Park, full of cycling and walking trails, playgrounds and gardens, to museums such as the Contemporary Art Museum, and stunning buildings like the São Paulo See Cathedral. São Paulo’s relatively low cost of living, compared to big cities in, say, the US or Europe, as well as the absence of tuition fees, means that spending a semester or two at USP is a cost-effective way to study abroad and experience the excitement of a larger-than-life city. If you are thinking about studying abroad in Africa, Cape Town would be a good city to choose. 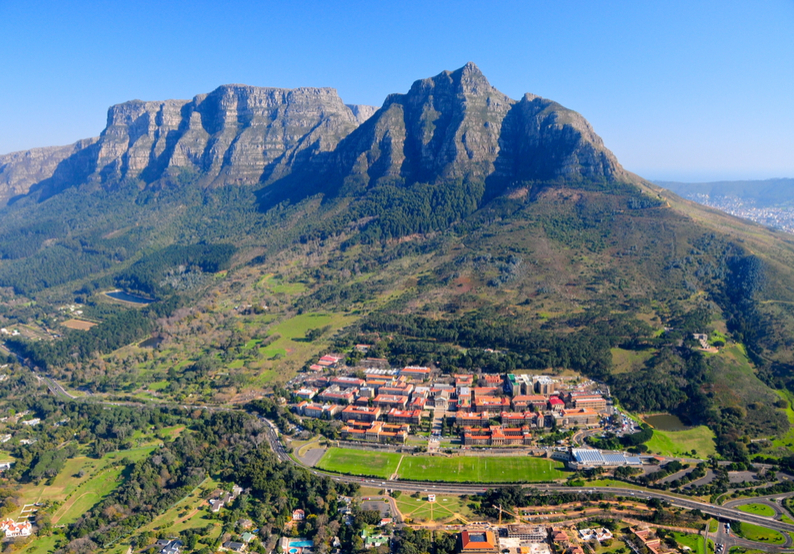 It is home to what is widely touted as Africa’s best university – the University of Cape Town. In terms of world university rankings, it sits at a respectable 148th according to the Times and 4th in their rankings for BRICs (Brazil, Russia, India, China and South Africa) and emerging economies. 18% of the university’s attendees are international students. These students are supported by the university’s International Academic Programmes Office, which offers advice for international students applying to the university, as well as help with settling into life in Cape Town. Scholarships for international students are limited, unless you come from an African country. Potential students from sub-Saharan Africa, who can prove they are from low-income backgrounds, may apply for the MasterCard Foundation Scholars Program, which offers scholarships to talented individuals, as well as mentorship. Tuition fees are moderately expensive, at around ZAR114,883 (USD9,000) for the first year of a Bachelor of Medicine. This is, however, much cheaper than fees for an international student on a similar degree programme in the US or UK. The cost of living in Cape Town will also seem much cheaper for most international students coming from, say Western Europe, the US or Australia. The typical cost to rent a one-bedroom apartment outside the city centre would be just under ZAR6,383 (USD500), and the cost of electricity, heating and water for a month would be around ZAR880 (USD69). These relatively low costs should leave you with enough spare cash to enjoy all that Cape Town has to offer, whether indulging in unique experiences like swimming with sharks and visiting penguin colonies, or just soaking up the atmosphere of trendy areas like Long Street, with its cool bars, restaurants and nightclubs. Melbourne boasts two of Australia’s prestigious Group of Eight universities – the University of Melbourne and Monash University. Both universities have large international student populations representing over a quarter of the student body as a whole in each institution. The research-intensive University of Melbourne is ranked 33rd in the world by the Times university rankings and has a reputation as the best university in Australia. Graduates leave with excellent career prospects, so much so that QS lists the university as number 11 in the world for graduate employability. Monash University, another research-intensive university, has an excellent reputation for pharmacy and pharmacology and is ranked number 2 in the world for this subject by QS. Overall, the university ranks at number 60 on QS’s World University Rankings. While tuition prices are high, there is help available to international students. Being keen to encourage international students from all over the world, both the University of Melbourne and Monash University offer scholarships that are open to overseas students. For example, Monash offers its International Scholarship for Excellence which provides AUD10,000 a year to academically-gifted international students for up to four years. Living costs are also quite steep in Melbourne. You would expect to pay over AUD2000 (USD1509) per month to rent a one-bed apartment in a standard area and AUD141 (USD106) to cover a monthly pass for public transport. However, if funding isn’t an issue, you will enjoy living in one of the most habitable cities in the world. In fact, Melbourne has been voted the world’s ‘most liveable city’ six times in a row by the Economist’s Global Liveability Survey. This is down to excellent healthcare, education, infrastructure, stability and culture. Melbourne is claimed by many to be Australia’s cultural capital, given its vast array of galleries, museums and regular arts festivals. Gems include the National Gallery of Victoria, Melbourne Museum and the Australian Centre for the Moving Image – so plenty to keep you and your guests busy. Sydney is often pitted against Melbourne for the title of Australia’s best city. While Melbourne is perhaps more culturally rich, Sydney boasts better beaches, a warmer climate and is more of a business centre than Melbourne. Like its rival city, Sydney has two exemplary universities – the University of Sydney and the University of New South Wales, both rated within the top 50 universities in the world by QS. At number 45 is the University of New South Wales, which also ranks highly (number 5 in the world) for the engineering (mineral and mining) subject category. 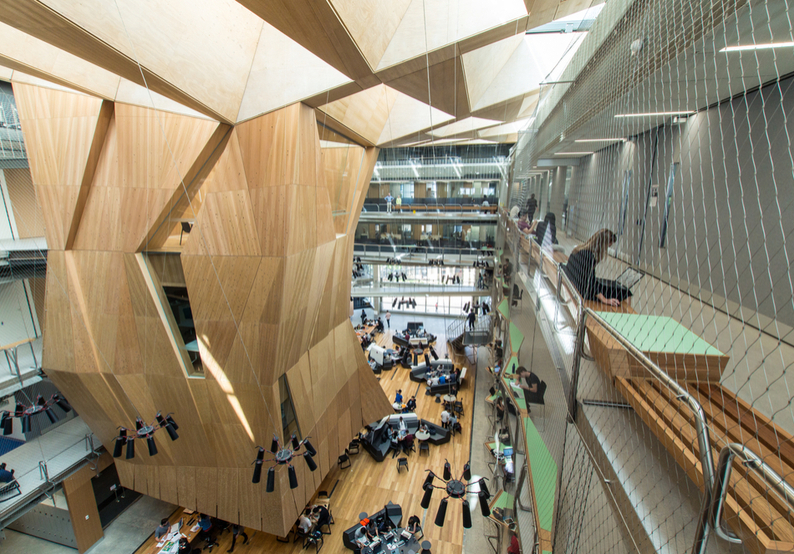 This university has over 14,000 international students and is keen to offset Australia’s fairly high tuition fees for international students with financial help in the form of several scholarships. One example of these is open to postgraduate students wishing to study for the Juris Doctor. The most academically promising student enrolled on the course is offered a scholarship of AUD10,000, which would go some way to weakening the blow of the AUD43,680 tuition fee for this course. The University of Sydney is ranked at number 50 in the world by QS and joint 1st in the sports-related subject category. It also ranks at number 4 for graduate employability. This university has a very large international student population of over 17,000. To help with costs, undergraduate international students can apply for the Dr Abdul Kalam International Undergraduate Scholarship, which covers 50% of successful applicants’ tuition fees for one year. While Sydney is just as ? or perhaps more ? expensive than Melbourne, this is again made up for by a very high standard of living. Sydney is ranked number 10 in the world in the Mercer Quality of Living Rankings, and comes out above Melbourne at number 8 when judged on infrastructure alone. Although less arts-orientated than Melbourne, Sydney still has much to offer international students in their free time. You can visit iconic structures, such as the Sydney Opera House and the Sydney Harbour Bridge, or you can soak in the natural world at Sydney’s botanic gardens, at the nearby Royal National Park, or on an idyllic walk along the coast from Bondi to Coogee. While a relatively small city, Montréal nonetheless earns the title of QS Best Student City. QS attributes this title to Montréal’s arts scene, its friendliness, its diversity and its affordability. Montréal is certainly popular with international students, with the city’s Chambre de commerce claiming that there are 30,000 students from overseas in the greater Montréal area. Of this 30,000, a third are said to attend McGill University. McGill is ranked as the number 1 university in Canada, and 32nd in the World by QS. McGill has a vibrant international student community, helped along by its Buddy programme, which pairs new international students with existing students. This gives students from overseas the help they need to become familiarized with the city and to get settled into life on campus. McGill has a number of financial aid packages to help international students, in the form of loans, tuition fee deferrals, and bursaries. There are also scholarships open to international students, such as the PBEEE Québec Merit Scholarships for Foreign Students. This award grants successful doctoral students CAD25,000 per year for up to three years of study. This amounts to a very helpful sum considering the CAD14,310 tuition fee per year for a doctoral degree. In terms of undergraduate fees for international students, McGill tends to be somewhat cheaper than universities in the US. Undergraduate fees start at around CAD16,000 and go up to around CAD40,000, depending on the subject studied. While McGill is Montréal’s crowning glory, the city is also home to the Université de Montréal (rated the 5th best university in Canada by QS), Concordia University, Université du Québec à Montréal, HEC Montréal and the École Polytechnique de Montréal. Much of Montréal’s appeal for international students is its similarity with European cities. French being the primary language means, of course, that the city and the wider Québec region stand out from the rest of North America. It is also said that Montréal has the café culture lifestyle of cities like Paris or Barcelona, while still offering the conveniences (chain stores, etc.) of a North American city. International students who only speak English needn’t worry, as the majority of the population is bilingual. This means Anglophones can get by easily on a daily basis, while also having the opportunity to improve their French-language skills. On top of its intriguing hybrid culture Montréal also offers great value for money in terms of living costs. In the Montréal metropolitan area you could easily find a two-bed apartment for around CAD760 a month! This is hundreds of dollars less than what you would expect to pay in Toronto or Vancouver, and astoundingly cheaper than rent for a similar dwelling in a city like New York. The virtues of New York City as an exciting, effervescent place to live are well known to most. The go-to place for global corporations, job seekers and tourists, New York City has tons of appeal for international students, too. As a vastly multi-cultural city, NYC makes people from all over the world quickly feel like they aren’t too far from home, while at the same time providing its own unique appeal. As well as being an attractive destination in itself, New York City is not short of first-rate universities for international students to choose from. 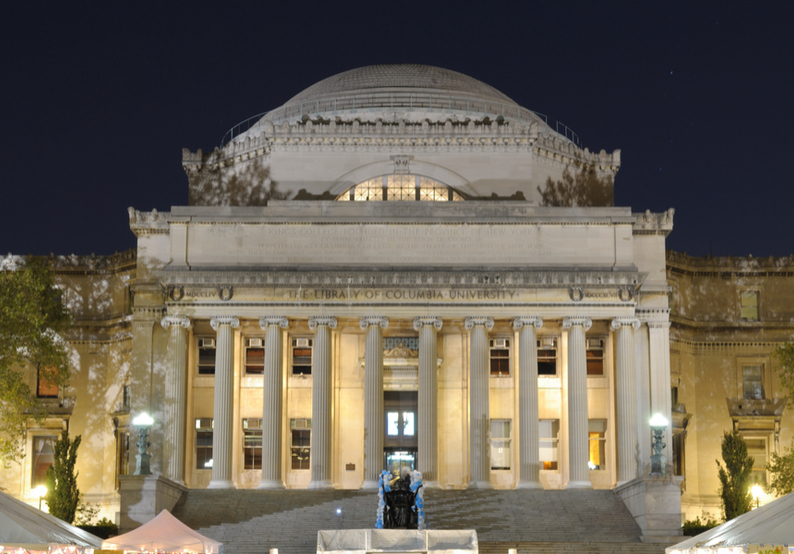 The highest ranking institution is Columbia University, based in the Upper West Side of Manhattan. The Times has this university ranked at number 16 in the world and IIE claims it is the US institution with the 4th largest number of international students ? 12,740 in the year 2015-16. Columbia is very proud of the fact that it ‘admits a large number of international students who apply for and receive a substantial amount of financial aid’. They even claim to ‘guarantee to meet 100% of all admitted first-year students’ demonstrated financial need for all four years, regardless of citizenship’. This means that, were you to receive a place at Columbia, you should inevitably be able to afford to study there. Indeed this seems very generous given the typical USD55,056 price tag for tuition this academic year. New York University (NYU) is another prestigious New York City university that is ranked highly by the Times at number 32. According to IIE, NYU ranks highest among all US higher education institutions for the largest number of international students in the academic year 2015-16, when they had 15,543 international students enrolled. NYU is not as vocal as Columbia about offering financial help to international students, but there are a few scholarships that can be applied for. For example, academically-talented students wishing to study on the Masters in Global Affairs can apply for a two-year scholarship amounting to at least USD10,000 per year. And it’s not just NYU and Columbia that are based in New York City. There is also Fordham University, The New School, City University of New York, Pace University, Yeshiva University, the Rockefeller University, and many more higher education institutions. International students should have no trouble finding like-minded people to socialize with in New York City, whether through clubs and societies at their universities, by joining local community groups, or trying one of the many meet-ups for international students arranged through websites and social media. While tuition fees and the cost of living can make life as an international student rather pricey, getting your possessions to and from your host country doesn’t have to cost the earth. You can avoid the extortionate prices often charged by shipping companies by sending your luggage in suitcases and boxes with Send My Bag, instead. Your items will be picked up from your door and delivered to your accommodation abroad, with customs all taken care of for you. This way you can travel as light as you like and actually enjoy your journey as you set off on your adventure of a lifetime as an international student. Wondering what to pack for your time studying abroad? Check out our handy study abroad packing list to make sure you don't forget anything.